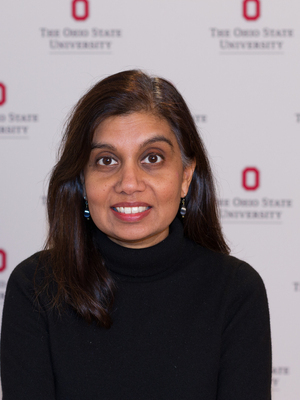 Mytheli Sreenivas joined the History and the Women's, Gender, and Sexuality Studies Departments in 2005, after receiving her B.A. in History from Yale University and a Graduate Certificate in Women’s Studies and an M.A. and Ph.D. in modern South Asian History from the University of Pennsylvania. Professor Sreenivas has research interests in women’s history, the history of sexuality and the family, colonialism and nationalism, and the cultural and political economy of reproduction. Her work has been supported by several grants, including from the Fulbright Foundation and the National Endowment for the Humanities. Her book, Wives, Widows, Concubines: The Conjugal Family Ideal in Colonial India (Indiana University Press, 2008), was awarded the Joseph Elder Prize in the Indian Social Sciences from the American Institute of Indian Studies. Her current project, which examines the cultural history of population and reproduction in modern South Asia, is tentatively titled Counting Indians: Population and the Body Politic, 1800-1970. Professor Sreenivas teaches courses in History and Women’s Studies on modern South Asia, comparative women’s history, postcolonial and transnational feminisms, and world history.